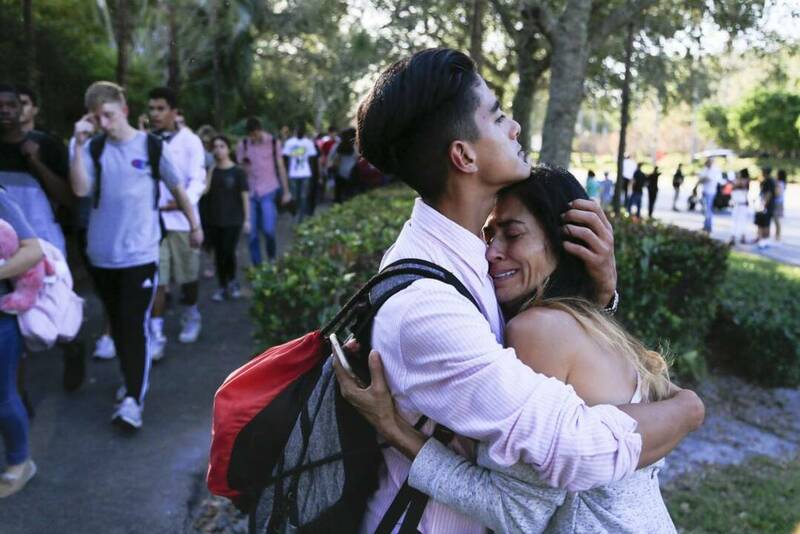 Parkland's second survivor killed himself, confirmed by police Coral Springs on Sunday. Miami Herald investigators said the current student of Marjory Stoneman Douglas High School died in a "apparent suicide" on Saturday night. Although the police did not confirm the age of the student, Coral Springs police spokesman Tyler Reik said the student was a youth. Resources say that the student is a sophomore male. His name was not released. Death came almost a week after a graduate graduate at Marjory Stoneman Douglas High School, Sydney Aiello, took his own life after being diagnosed with Post Traumatic Stress Disorder. The Office of Medical Examiner of Broward County told NBC News that Aiello had died from a headache wound. Ryan Petty, father of Alaina Petty, a 14-year-old freshman who was one of the 17 people was killed on February 14. 2018, told the Miami Herald that a student who died Saturday also died from a wound headaches. The small foundation established a suicide stop called Walk Up Foundation after the death of his daughter. He said "the issue of suicide needs to be discussed." "This is another example of a tragedy," says Petty, who has partnered with Columbia University for his Foundation. "When you look at Columbine as an example, almost as many students have killed themselves after the truth than the actual shot. That needs to be changed," he said. "We need to get the help they need." If you are in crisis, please call the National Suicide Prevention Lifeline at 1-800-273-TALK (8255), or contact the Crisis Text Line by texting TALK 741741. The article it will be updated as more information is available.